In the literature on the topic, the majority of the tailings storage-facility failures discussed can be attributed to a few factors – in particular, the lack of management continuity and inadequate resourcing (especially financial) for the facility. 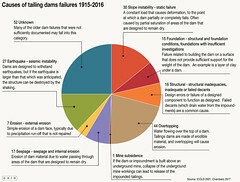 In cases of failure triggered by mechanisms such as overtopping or piping, inadequate management has occurred over a period of time. The failure may ultimately have been triggered by a particular mechanism, but the tailings storage facility should never have been permitted to reach a point where it was susceptible to such a triggering mechanism in the first place. In the case of failures due to earthquakes, where the loading is rapid and unexpected, the initial design of the tailings storage facility is the most important management consideration. 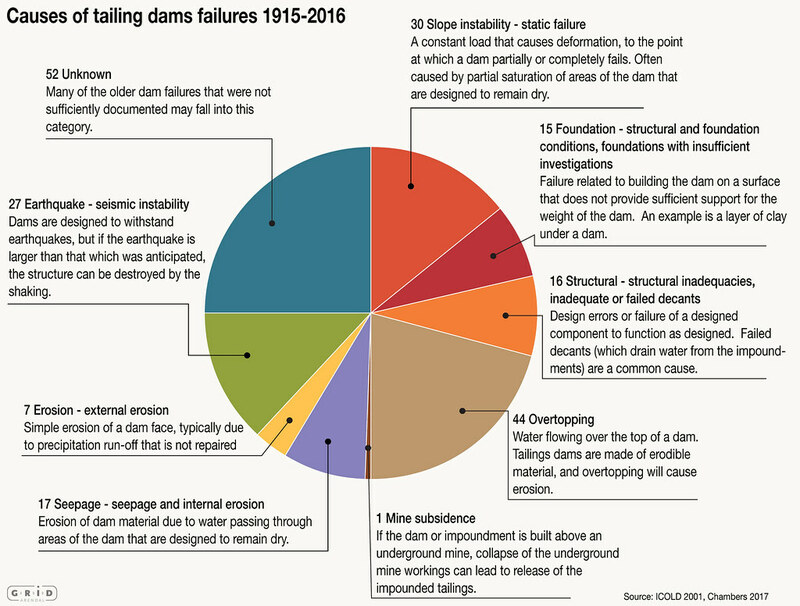 The design needs to be fit for purpose – for example, tailings storage-facility studies indicate that the upstream method of dam construction is more susceptible to instability from seismic loading compared to the downstream method (Liang and Elias 2010).